1. Pace setting: I prefer lap pace over current pace. Current pace bounces around way too much for me. If you have it in lap pace, then it measures your average pace thus far for the current lap (i.e the distance travelled thus far for that lap and your total time in transit for that lap – and calculates your average pace). Calculating the average pace prevents the watch from jumping around when you’re on a slight hill or have a quick speed burst within your lap that might screw you up if you were to look down at your pace at that exact moment. What is a lap? It’s whatever you set your watch at. For current pace it’s based on one mile. If you want your average mile pace, then keep your lap set to 1 mile. If you want to reset the pace before your lap is up, just hit lap on your watch and wait a few seconds for it to recalibrate. Note that it does not adjust immediately. Overall, I find that current pace can really mess with your head if you’re trying to stay on pace using your watch. 2. Auto Pause: Turn this off. It's annoying (i think). 3. Auto Lap vs. Manual Lap: Auto lap is great when you are running tempos or long runs or somewhere without mile markers, but when you're on the track or in a race, turn off auto lap. It will mess with your tracking. In a race, opt for manual lap every time. All you have to do is manually hit lap as you pass each mile marker. This way you know for sure exactly how fast you are running each mile according to the race course not the gps - often they are not exactly the same. If you forget at one mile, then hit lap at the next mile and divide by two for your average pace over the last two miles. I actually prefer a good ole timex stopwatch during races or turn off my gps altogether and manually hit lap. This way I don't have to worry about losing satellite connection or low battery issues and I know I'm tracking myself the same way the race course is tracking me. Manual lap is also good for track workouts because you don't want it to accidentally lap you when you in the middle of an interval and often times your laps are shorter than the auto lap setting. 4. Ditch the GPS altogether. Do one run a week without tracking your pace. It’s healthy to forget about pacing sometimes. Jesssica's favorite watch these days is a good old fashioned sportswatch. The best part is you never have to charge it! We all know those runners - they have the matching gear, the shoes, the GPS watches, the reflective gear, the right socks for any weather, the hats, the gloves. So, what do you get this person? We've come up with some fun, interesting gifts that would make us smile and excited to unwrap. -JACKERY MINI A portable charger for phone or computer. It's lightweight, only 2.72 oz., so you can charge your iPhone on the run. $19.95. -BODY and FACE WIPES - Great stocking stuffers. Runners can never have too many of these, especially if they aren't heading home right after a run. One of our favorite social outings is a run and then a drink with friends. We bring these with us so we can a little refreshed. $3-8. -OISELLE RUNDIES - Cheeky underwear with different workouts imprinted on the bum: fartlek, tempo, long run, race, easy 6, track and rest. Set of 7 for $65. -A RACE ENTRY - Keep them running! This is more of an experience but it's a great way to encourage your runner and offset some of the costs of traveling to a race destination. -VIZLET LED LIGHTS - Versatile lightweight, flashing LED light. You can wear this on your arm, hat or shirt. It's a great addition to any runner's dark weather running gear. -BLODDY MARY MIX - Who doesn't love a Bloody Mary after a long run? Have some fun shopping for the runners in your life - they'll appreciate the creativity! Asics provided me with a complimentary pair of the GEL-Electro33. All opinions are my own. I love testing out new shoes because clients always ask me what shoes to buy or which shoes are the best for marathons, half-marathons, racing, people who need arch support, people who pronate, etc. I don't really know that much about the different brands, I just know what works for me and why. I encourage clients to find their local running store and talk to the associates. Jessica and I have found our favorite shoes thanks to the good folks at Urban Athletics in New York City. One of their associates worked with us for about an hour to figure out the best shoe for our feet. Asics were always on my list to try on when I was buying new shoes but I never ended up buying them. The biggest reason was because other shoes just felt a bit better. Jessica loves Asics. So, when Asics contacted me and asked me to test out the new GEL-Electro33, one of the first lightweight, flexible shoes with pronation support, I said yes. We all have our tendencies when we run and mine is pronation. I've worked really hard to improve my foot strike and stride and have very few injuries since changing my foot strike. However, when I'm tired, and especially during a long run, I fall back into my old ways of running. I've run in the GEL-Electro33s a few times now; a couple of 3-4 milers and a 7 mile run. They are lightweight and definitely help pronation (it's now something I pay more attention to when I'm in my other shoes). I'm not sure how they do it but it works! The shoe is lightweight and comfortable. I did get a really, really bad blister during my 7 mile run. I've had this problem before with some other shoes as well (from different companies). I haven't had a problem since and they were comfortable as soon as I put them (one of my tests). I was my normal size (half a size up). I would recommend the Asics GEL-Electro33s to people who pronate and want more support. Happy Valentines Day! We hope you show yourself some love with a fun workout or a planned rest day. And we hope you are surrounding yourself with people and things you love. 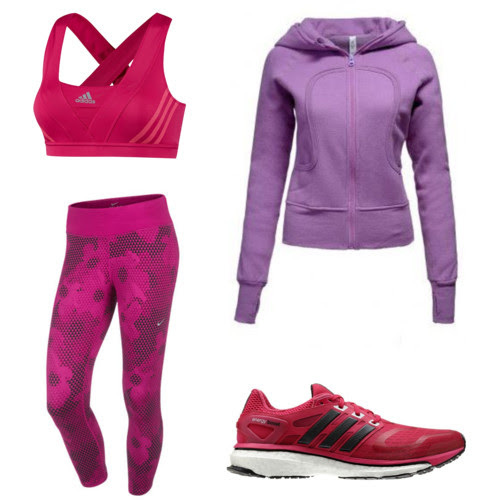 We wanted to share with you a few of our favorite things for running. adidas Energy Boost sneakers - comfortable, comfortable, comfortable. You'll want to keep running in these sneaks. adidas Supernova bra - finally, a sports bra that holds you in place and looks cute. This bra shapes you while doing it's job of locking all moving parts down. Trader Joes Chunky No Salt or Justin's Almond butter and English muffins - a great pre and post running snack. lululemon Cool Racerback - so many colors! Great for layering and the perfectspring and fall running top. lululemon Scuba Hoodie - just what you want to wear after a long run or when curling up on the couch. Dear Kate underwear - doesn't move, no chafing, comfortable and sweat wicking. Nuun tablets - easy way to replenish lost fluids and electrolytes post run. We like the lemon-lime flavor. The BOB - Jessica and Lucia both love The BOB. It's a comfy ride for Lucia and lightweight for Jessica. It's a must for your Stroller Stride class. The Hazel Sport Thong by Dear Kate is the ultimate thong for every runner mom (and every lady runner for that matter!). Dear Kate is a company specializing in “a new kind of underwear with a built-in breathable liner that protects like a pantiliner.” What I found is that not only is it breathable and protective against minor postnatal drips, but it’s extremely comfortable, fashionable and holds up on long runs. Other sport thongs end up soaking wet, bunched up, saggy and barely staying on after 10+ mile run. Not my Hazel Sport Thong! After giving birth to a baby girl in August, I spent a lot of time making sure incontinence was not going to be an issue for me when I was ready to return to the world of running. Despite my efforts, five months after giving birth there’s still the occasional minor drip during a walk break or as I get more fatigued on the longer runs or if I forget to use the restroom before I start my run. Although it’s not a major issue, I didn’t love the way my sport thongs were holding up throughout all of this. Then a pair of Dear Kates arrived in my underwear drawer – the Hazel Sport Thong in black with green lining (see below) – and I am a new person! I fell for my Hazels as soon I opened up the box and the card said “Hey, Gorgeous” fell out. Everyone loves to be called gorgeous especially when about to try on a thong. Next up was the material. When I took the thong out of the box, it felt super soft, but a little thicker than you might imagine a sport undie feeling. After a single wear, I realized the thickness was a benefit rather than a negative. Somehow Dear Kate managed to make it breathable yet protective – and comfortable! The material really does “wick” away moisture enough to hold up on long runs and leave those drips unnoticed by me or anyone else. The fit is true to size and extremely comfortable as well as flattering. They are the kind of undies you want to prance around in before you put on your running tights and after you take them off. The girl in the ad online actually makes sense! The cost of a pair of Hazel Sports is $32, which might be more than you are used to paying for your underwear, but let me tell you that every penny is worth it. To help get your Dear Kate collection started (because it’s impossible to have just one! ), Dear Kate is offering 25% off your first order until February 9th with the code “hotbird” at dearkates.com. This post is sponsored by FitFluential LLC on behalf of Koss. Each year we compile a list of our favorite running items as a gift guide. We bet most of you have runners in your life and these gifts are sure to make a runner smile. Use it as a shopping guide for that special runner in your life, or even better, use it for yourself! 1. Trigger Point Tools -We can't say enough about the tools this company creates. We love their foam roller, called The Grid, and the Ultimate 6 Kit. 2. Koss Headphones - These headphones are great. We've been using them since the summer and are extremely happy with them. They have 2 different types - Fit Buds and Fit Clips. The best part? They fit a woman's ear and don't tangle! Get 'em at Wal-Mart, Best Buy, Walgreens, Kmart, or Sears this season for only $19.99. 3. Gym Boss - Perfect stocking stuffer for the newbie runner and the workout fanatic. You can set walk/run intervals which is great for the person just starting to run. Easy to use and clips onto your clothes. 4. lululemon Cool Racer Tank - We wear this year round and it's great for all types of working out. Layer it in the winter or use it as a cute running top in the summer. Loads of colors - we recommend anything bright! 5. The Stick - This is every runner's best friend. We love running relays (Ragnar Relay and Hood to Coast) and this little guy is a must have item because it's easy to pack and is the best self massage tool available. We recommend the Marathon Stick. 6. Melt Balls - Another awesome recovery tool for runners. It's like giving your feet a massage. Use it pre and post run to keep feet healthy and happy! Your feet will thank you. 7. Energy Boost sneakers - You feel like you are running on little puffy clounds. The new foam in these shoes provides more energy return than the standard EVA foam. The result? A more comfortable run. Meghan has been rocking these since September. If you have a racer in your life, gift him or her the adizero adios Boost - it won the Chicago and NYC marathons. 8. Garmin - We recommend the 610 for the serious runner who loves to track everything. The Forerunner 10, 210 and 410 have less features but do what all runners need - pace and distance. Garmin uses satellites to track your distance and pace. Your runner will no longer be beholden to the exact route they pre-planned. 9. Shoe ID - This is a must have for any runner. It is laser engraved with your emergency contact information and can be strapped to your running shoes. 10. Amphipod - All runners need to stay hydrated and it can be tough on long runs. The Amphipod handheld water bottles solve that problem. They are lightweight and easy to carry. No more annoying fuel belts! The following post is sponsored by FitFluential LLC on behalf of Mizuno. Jessica and I love our Mizuno shoes. I've been a huge fan and completely in love since I got my first pair of Mizuno Wave Elixirs in September 2010. Since then, I've run 3 marathons, a bunch of halfs and thousands of miles in Mizunos. I have 7 pairs - the Prophecy, the Creation, Wave Elixirs and Ascent (their trail sneaker). The latest addition to my collection is the new (released today!) Wave Sayonara. It's a lightweight everyday training shoe that makes speed more accessible. For me, Mizuno already equals comfortable (serious comfort - like my feet are running in fluffy clouds) and speed. These shoes take it to the next level; they are 7.1 ounces with a G3 SOLE that provides lightweight traction so you feel your connection to the ground without feeling heavy. I was ready to test out these shoes and, as Mizuno says "wave goodbye to slow and say hello to more energized, mezamashii running" after a month of humid runs in Florida (where I felt like I was running through molasses)! I threw them on and went out for a run. My goal was to run descending miles, with the last mile being 7:30s. My run was stopped when I got BLISTERS on both heels after about a mile. This has NEVER, EVER happened with any Mizuno shoes and I honestly can't remember the last time I had a blister from running. I was really bummed. I reached out to my friend who is a Mizuno tech rep for some help understanding why I got blisters in these shoes. He had a good tip for those of us use to wearing the Elixirs - tie your laces tighter. That did help but I still have the remenants of the blisters so I have to wait until they heal completely before I can begin to fully appreciate the Wave Sayonaras. I was able to get a few runs in them (with the help of bandaids and mole skin). I LOVE the colors and I like how light they feel on my feet. It's very easy to increase cadence and turn over your feet for a fast run. They don't have the toe spring (the curl at the top) so while they are roomy, they feel a bit more secure. I'm looking forward to a lot more #brilliantruns with the Wave Sayonaras and all my other Mizuno sneakers! Have you tried out Mizuno's sneakers? Tell us which ones in the comments below. I was sent a Koge Vitamins Energy Pack in exchange for my honest review; all thoughts and opinions are my own. Full disclosure: I've never been "good" at taking vitamins - I either forget them or don't take them regularly. When I had the chance to review Koge Vitamins, I decided to go for it because I wanted to 1) see if I could do it - take vitamins for 15 days straight and 2) wanted to know for myself if I felt a difference on vitamins. Well, 18 days later and I almost succeeded! I went away for 3 days and forgot to bring them with me so I had a few extra days. I did feel a difference on the Energy tablets. I woke up feelling more refreshed and I didn't feel any cravings or need for coffee. Also, I was much more alert during the afternoon - never felt "foggy brain" in the afternoon. Management and Energy Pack. Additionally, they have a Whey Protein powder. Koge vitamins are cheaper than buying from brick and mortar stores because they have streamlined the process. It reminded me of Trader Joes - they are able to keep their prices low because they cut out the middle men/the distribution process. Korean Ginseng – believed to relieve the effects of stress and enhance mental and physical performance. Coenzyme Q-10 with L-Taurine - Coenzyme Q-10 is a natural antioxidant that protects and rejuvenates your body against wear and tear, improves heart health and lowers blood pressure. Taurine is known for lowering cholesterol and repairing the body against natural external damage. 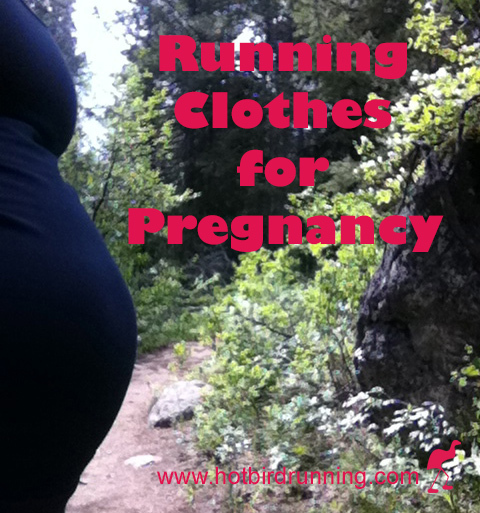 Suiting up for a run when you're pregnant isn't always the easiest accomplishment. Sometimes it feels like it's the hardest part of the run - tight, uncomfortable, ill-fitting, too short. After a couple of months of trying to squeeze into my running tights and tuck my tops in to cover the belly, I decided it was time for a little maternity shopping. By this, I mean figuring out which styles worked the best for pregnant Jessica's body (not regular Jessica's body) and then buying myself a few new outfits with everything a size larger than I usually wear. Now, 31 weeks pregnant, I am enjoying every second of my new size and discovery of what "maternity workout gear" really means. I found it to mean something a little different than regular maternity clothes shopping since I didn't actually buy "maternity" workout clothes. No women enjoys buying up a size, but running clothes are already tight to begin with and in all the areas that seem to expand when you get pregnant. So, give yourself a break and once the belly (and surrounding areas) begins to expand beyond your comfort or vanity limits, embrace the excuse to freshen up your running wardrobe instead of dwelling on the new size. For me, this included a sports bra, crops, shorts and two tops - they don't look so new anymore! As you pack on the pounds, you need more support. I have several different pairs of shoes, some of them lightweight, minimalist shoes or racing shoes. After running in the less stable shoes 4-5 months pregnant (10+ lbs heavier) I started to notice my feet getting sore in ways they never had before. I quickly packed these shoes away with the rest of my clothes that won't reappear in my closet again until post-pregnancy this fall and purchased a shoe with some stability to support my feet as my body weight continues to increase. Since you're buying tops midway through your pregnancy, you need to leave room for belly expansion without sacrificing fit during mid-pregnancy. The solution? 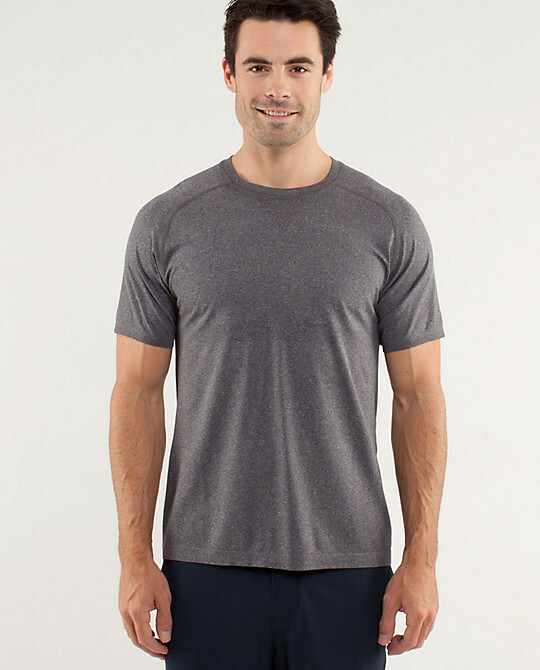 Longer, fitted, exapandable tops that can grow with your belly, not hide it or rise above it. I also recommend darker colors because you might be wearing these items a few times in a row before washing because you might not have too many - unless you want to buy a ton of them. My go to piece has been lululemon's cool racerback tank top this spring and summer. No baby belly feels good with the top of running tights/crops cutting into the midsection. Instead, opt for lower rise crops and shorts. I LOVE my lululemon inspire crops that I can easily fold over the top to sit just under the belly. Higher rise crops are in the drawer until the fall. 5. Invest in an anti-chafe stick: As the chest expands, sports bras rub differently and I started to chafe like I was running a marathon, not a 5-mile jog. *** Bonus: Choose routes with lots of access to bathrooms or wooded areas because there's no escaping the constant pounding on your bladder - accept it, pee and run on. I do find it helps to avoid any liquid intake at least 1 hour before a run. We don't stop running just because it's hot and humid (although it does slow us down!) We dress differently, take different precautions, use A LOT of sunscreen and enjoy it! Below are our summer running essentials. See you out there! Nike Featherweight Tennis Hat - you've heard us preach the wonders of this hat. we love it because it keeps our head safe from the sun yet lightweight enough to not feel heavy or annoying. Nuun Tablets - We use their Active Hydration tablets for pre and post workout hydration. These tablets are packed with electrolytes and contain no sugar or carbs. Plus, they are easy to carry - throw them in your bag for a little boost throughout your day. Neutrogena Ultra Sheer Dry-Touch Sunscreen Broad Spectrum -Meghan likes it because it's dry-touch and doesn't leave an oily feeling on your skin. She uses SPF 70. 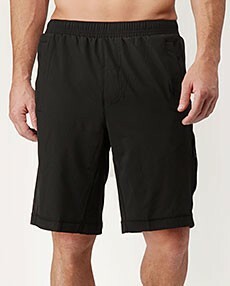 Merrell Afton Shorts - great for those hot, humid days. The fabric is soft, stretchy polyester and elastane fabric with quick-drying, moisture-wicking technology. 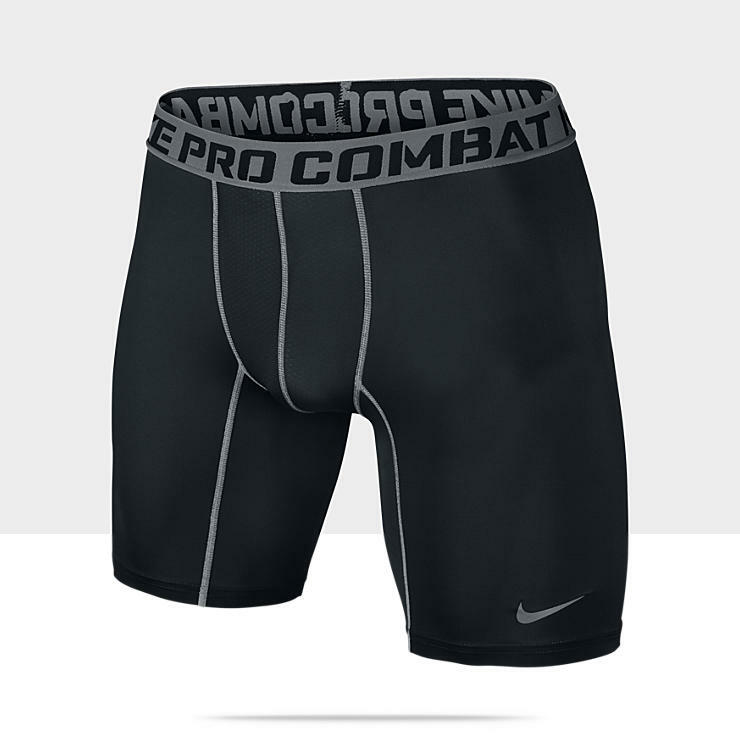 The waistband is wide and elasticized with an adjustable tie. And there's a zip pocket on the side. lululemon Swiftly Tech Racerback - lightweight, moisture wicking fabric made of seamless Silverescent fabric. lululemon Speed Shorts - lightweight and fun colors! We both love this short because of the wide, comfty waistband (with a pocket and a secure tie on the inside) and the fun colors. If we were stranded on a desert island, we'd want these shorts! Trigger Point GRID Foam Roller - It's easy to stop stretching after runs in the summer because you are so sweaty. Do our stretches for the busy runner and then, after you shower, use the GRID. Koss Headphones - two reasons we love these - the cord doesn't tangle and there are different size ear buds. Blender - we love our Cuisinart blenders. Meghan has the Compact Portable one (she loves the to-go blender cups and nut chopper). Amphipod water bottles - different sizes and easy to carry with you on a run or stick in a pocket. Stay hydrated! It's no secret that we love our lululemon running gear. It's technical, it fits our bodies and looks cute. The awesome ladies at lululemon Brooklyn (new store is opening in June!!) were kind enough to give us a few products to giveaway for National Women's Health Week. We want you to feel and look good while you work out. 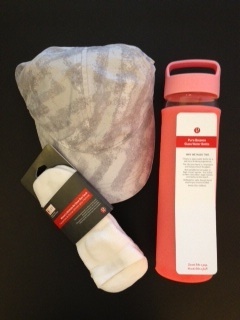 We are giving away a Pure Balance Glass Water Bottle, a pair of Ultimate No Show Run Socks and the Go the Distance Run Hat. You will receive an entry for each action. We'll pick a winner on Friday, 9am EST and will notify you via email. Good luck and happy running! Get your sweat on with a Gymboss timer! It's great for interval workouts and beginner runners who are implementing a run/walk program. A Gymboss is a small repeating interval timer that allows you to focus on your workout instead of constantly looking at and fumbling with a stop watch or timer on your cell phone. Set one or two interval times (5 minutes (run) and 2 minutes (walk), for example) and it will run them in succession. At the end of each interval, it will beep and/or vibrate; you can adjust the volume and the alarm duration (1, 5, 10 seconds). If you listen to music while working out, you can set it to vibrate - a huge advantage over a stop watch. We like the Gymboss because it's easy to use, clips to your pants or jacket, it's small and it's water and shock resistant (we've dropped ours A LOT!). Want one?? Of course you do! Enter our contest below to win one for yourself. We will randomly select a winner on April 18th. Good luck! Our runner this week is Whitney Norman. Whitney works at a veterinary clinic in Portland, Oregon and lives along the Willamette River in John's Landing where she has access to fantastic city river runs with mountain views right outside her door. In the beginning of 2013, she started working with the Hot Birds to whip her fitness and nutrition habits into shape. Whitney doubted that she would ever be able to say that she truly enjoyed running, but, as she told us this week, "[She's] now been converted to one of the fortunate ones that truly gets to enjoy getting out there and running." Keep it up, Whit! How do you know us - Hot Bird Running? I have the pleasure of knowing the Hot Birds through my fiancé, Match, who happens to be Jessica’s youngest brother. Match and I are getting married in the winter of 2014 and I wanted to start getting in shape for the big day. Lucky for me, as an extra bonus, I will be inheriting a fantastically motivating running coach as a sister-in-law and the Hot Birds! What are your current running goals? Are you training for anything? I haven’t ever been driven by the idea of running, but, unfortunately for me, I also know it’s the best way to get in shape for the wedding. In January of this year, I started Hot Bird's Running and Nutrition Program. Who or what inspires you to run? I use to describe myself, "I’m not the most enthused runner," because for the first two months of training I had to literally shove myself out the front door with the image of myself in a white dress posing for eternally existing photographs to get started on my run. I have been very fortunate to have Jessica as a running coach. She is really what has inspired me to keep going. It’s been an unbelievable help for someone like me who struggles with running, to have someone to talk to when frustrated with my progress, or to get that extra boost of confidence in my ability to keep on. In the last month I’ve really started to enjoy my running experience. I think the first time I truly had fun on a run was last month when Jess, Match and I all went for a run in Tryon Creek State Park. It was one of the most challenging runs I’ve been on to date, but it was also the most rewarding. It was truly a running breakthrough for me and since then I’ve felt fantastic while running. I’m so grateful to have had the team of Hot Birds at my back to keep pushing me on. I truly don’t believe I would have gotten to this point without their support. What is your favorite running route/place to run? Now that I’m off and running, my favorite route has become my run in Tryon Creek State Park. I’ve gotten the opportunity to go several times a week and it is always as challenging as it was the first time. There’s something great about running in the woods that keeps you watching your feet while dealing with the changes in hills. I always feel completely beat at the end but in a satisfied and happy way. Who is your favorite person to run with and why? I also love the Tryon run because it’s one that I get to do with my fiancé, Match. It must be something that the Elliott’s do, because they are some of the most motivating people I’ve ever met. My experience as a runner has been short with a bit of a rocky start but I feel so blessed to have had the support of both Match and the Hot Birds to keep me on track. I would have never been able to get to where I am now without them. What is the best piece of running advice you ever received and who was it from? The best piece of running advice I’ve ever received was to run in run/walk intervals. I purchased a GymBoss at the beginning of my running program, and it has been such an enormous help. It was great training for me starting at the beginning because I wasn’t discouraged about not being able to run far. I could have breaks and continue on again until I had reached my goal. For me it essentially took away quitting when I was tired as an option. 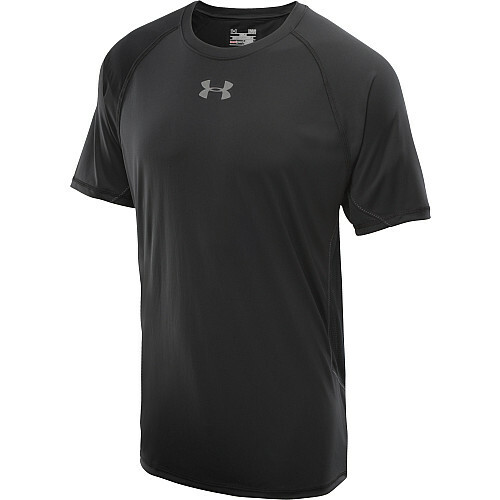 What is your favorite running gear/piece of clothing? Apart from the GymBoss as being my favorite accessory I would have to say that I absolutely love the Ta Ta Tamer sports bra from lululemon. I am fortunately well endowed in the chest region and as a runner is was a painful experience at first. I really do love the support that it gives me while taking away the massive shoulder pain. Temperatures are rising, but that doesn't mean your shorts have to, men! 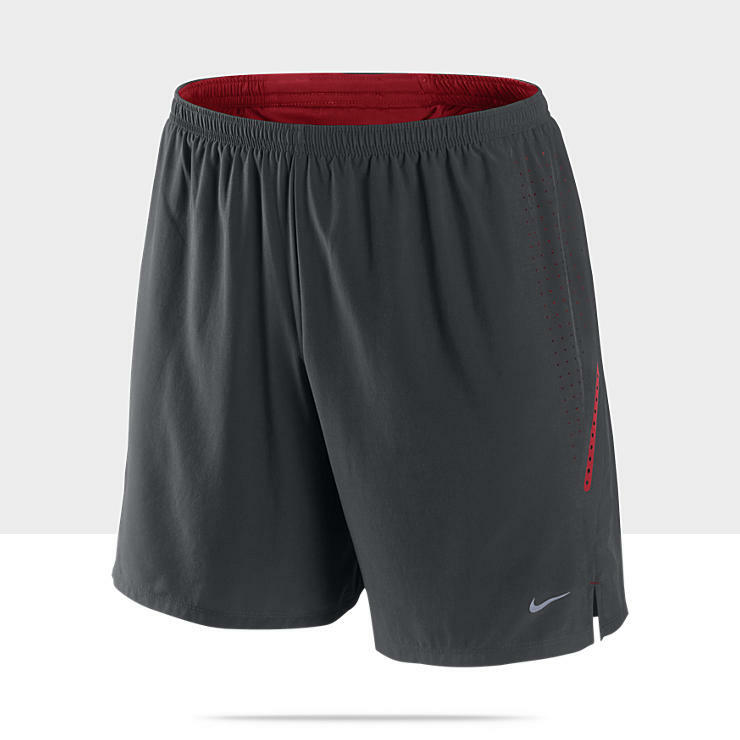 Here's a list of some of the top spring running gear - for men, recommended by men. 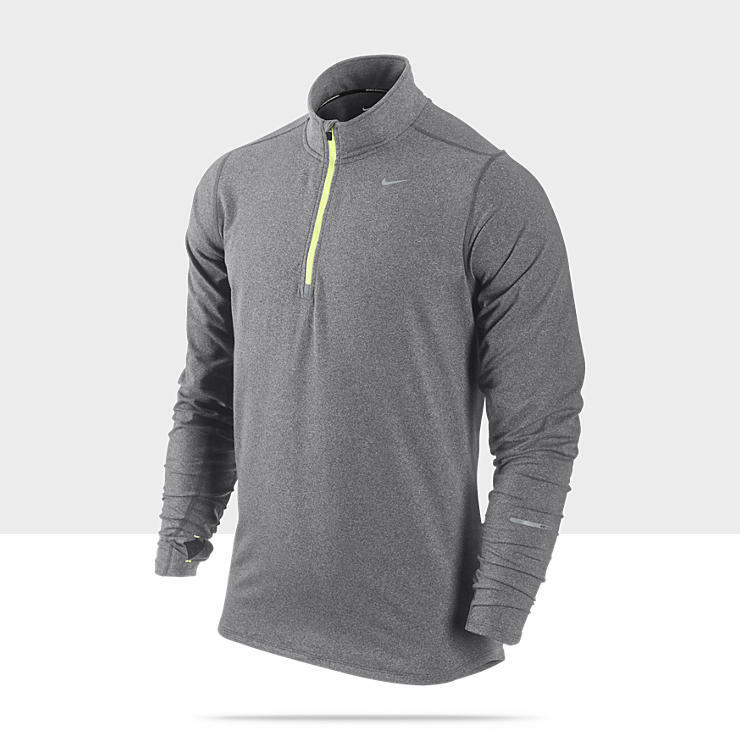 Metal Vent Tech Long Sleeve or Short Sleeve, lululemon athletica. Spring is lurking around the corner which means rainy days are already upon us. Instead of heading into the gym for a cross training day or the treadmill, zip up that rain jacket and show the rain who's boss. We promise, you won't regret it. Jessica gives us a few reasons to head out despite the weather. RACE DAY PREPARATION: It's preparation for unexpectated (or expected) race conditions. I'll never forget waking up on the morning of my first marathon and it was snowing! Eventually, the snow turned to heavy rain by the time I arrived at the start - and it never stopped the enitre race. Thank goodness I was prepared! EMPTY ROUTES: Chances are you'll get the city or your running route all (or almost all) to yourself. Heavy rain sends the crowds to the gym and leaves you with your own personal playground. Enjoy it. EMPOWERMENT: Battling sloppy weather conditions makes us stronger and empowers us. Finish a good workout in the rain and you'll feel like a million bucks (or definitely after a warm shower!). AN EXCUSE FOR GEAR! : It's an excuse to buy flashy and weatherproof running gear. Running gets better in the right gear. Check out this Runner's World article on running jackets for the rain. Don't forget a hat and gloves if it's cold out there not just wet. You also might want to designate a pair or two of your running shoes to wet, muddy run days. If you're already a rain runner, then we commend you. If you haven't tried it out, we recommend taking the next rainy day as an opportunity to try something new. You never know, you just might get hooked! Gear up Nau for winter and spring training. 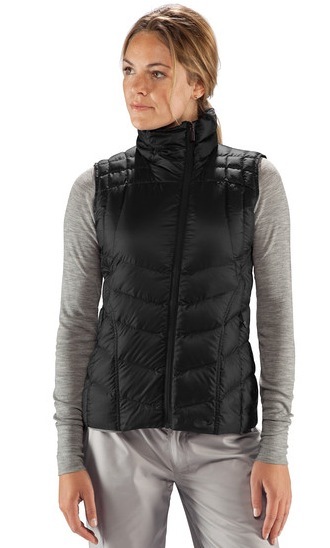 Keep your core warm without overheating with our favorite transitional down vest by Nau. It's not an official "running" vest, but over the last two years we've tested it through all kinds of weather and found that it's perfect for cold weather running. Layer it under a jacket in the winter or over a long-sleeve in the spring and fall. The high neck keeps you warm, and the slim, longer fit feels femine and covers your midsection. The Nau Down Vest for women is worth the investment (and it's on sale right now for $108 - normally $155!). We've compiled a list of our favorite running items as a little gift to all of you this holiday season. These are the items we consistenly reach for when heading out for a run and/or workout or what we use to stay injury free throughout training. No matter what the runner in your life is training for - from a 5k to a marathon - we think they will love the items on this list. Use it as a shopping guide for that special runner in your life, or even better, use it for yourself! 1. Trigger Point Tools -We can't say enough about the tools this company creates. We love their foam roller, called The Grid, and are newly in love with their Ultimate 6 Kit. 2. The No Show Ultimate Sock - Great stocking item. We love them because they stay put, out of sight and wick away the sweat. 7. Make a Break Jacket - Besides being extremely cute, it's water repellent, light (perfect for layering), has a hood, reflective detail for low light visibility and did we mention it's cute and flattering? Buy it in red, 'tis the season! 9. Yoga classes - Most runners don't stretch enough. Yoga is a perfect excuse to stretch and allow your achey runner muscles to elongate, relax and recovery. If you are in New York City or Brooklyn area, we recommend sending your runner to Mala. Find a studio that offers basic and/or classes geared specifically for runners. 10. The gift of running - Give yourself or your runner one of our training programs or personal sessions. We offer gift certificates! Contact us to purchase your loved one the gift of running. I put it on about 15 minutes before my 6 mile run and found it too tight to just wear - it's definitely too tight to just wear around. I left the house and within about 3/4ths of a mile, it slipped off my head (so that's after wearing it for about 20 mins). I readjusted and it stayed on for the next 5ish miles. I took it out for a 3 mile run this past weekend and found it to work really well. I put it on right as I was leaving and it stayed put for the next 23 minutes. Overall, I would recommend the Cross-Grip Hairband to anyone who wants/needs to wear a headband and doesn't mind a tight fit. They are $9.99 and would make a fun stocking stuff for your runner! To buy the headband, go to MaxFlow Sports. The Best Sports Bra for Running is Back! The best dang sports bra ever for long distance runners is back after a two year hiatus. Stock up on lululemon's All Sport Bra today and understand what tight, comfortable and chafe-free feels like at at ANY distance. It's simple, supportive and perfect, and now it's available! Thank you, lululemon, from the bottom of our hearts (and our chests) for the return of the All Sport Bra. We asked and this week you delivered.